Microsoft’s Garage lab has announced a new Ink to Code app that will take your digital ink sketches and turn them into an actual application. 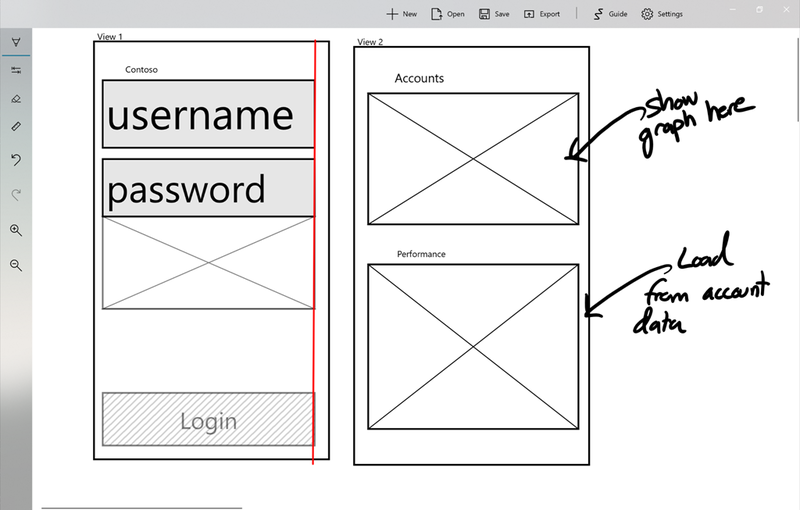 Ink to Code is a UWP app that enables developers to draw a wire frame sketch and then export that sketch into source code for use in Visual Studio. Ink to Code is supposed to use artificial intelligence and automation to create the code from the wire frame sketches and at this time only supports basic visual elements like labels, text fields, images and buttons. This visual element recognition is similar to what you can find in the Microsoft Whiteboard (Preview) app, which you can download from the Microsoft Store. This app currently supports Android and Windows UWP apps. At this time the app doesn’t seem to be available on the Microsoft Store, so keep an eye out for it.